BREAKING NEWS Physicists Achieve Quantum Teleportation Record over 25 kilometers. This is a world first. The previous record for Quantum Teleportation was only six kilometers. The six kilometer record was achieved 10 years ago by the same team of scientists. This is not exactly the same variety of teleportation that we see in movies however. 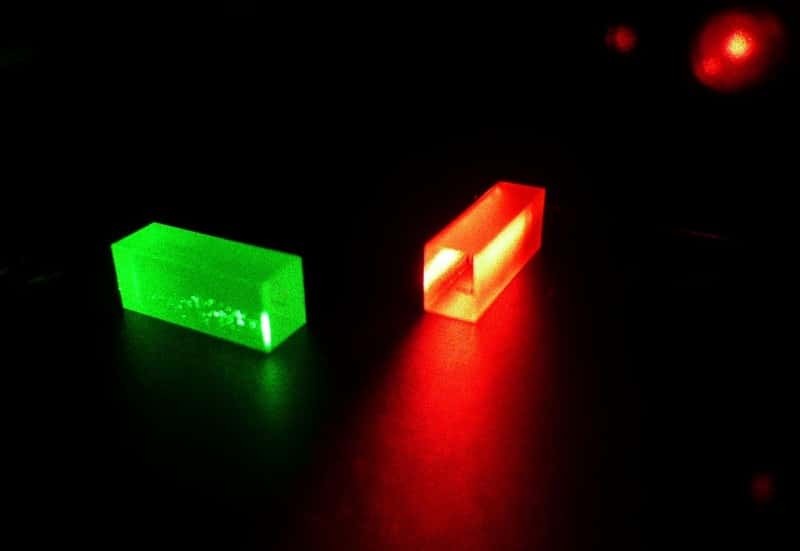 What these scientists have done is to teleport the quantum state of photon to crystal. What this experiment show is that in quantum physics it is not the composition of a particle that matters. It is the state of a particle that matters because it can exist and persist outside such extreme differences as those which distinguish light from matter. ^Crystals which contain photonic information after the teleportation.